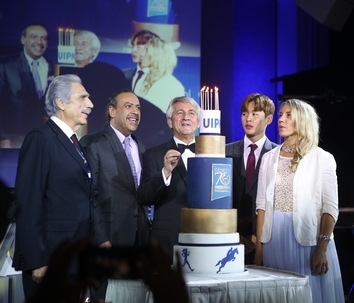 UIPM President Dr Klaus Schormann has hailed the 70th UIPM Congress as a powerful demonstration of good governance and democratic decision-making. Eighty nations were represented at a two-day Congress in Limassol (CYP) that featured the unanimous passing of a range of motions proposed by the UIPM Executive Board, the appointment of an Electoral Committee and the confirmation of competition dates for 2019 and 2020. Four new member nations – Jamaica, Malawi, Paraguay and Uganda – joined the UIPM Family and it was announced that an observational working group will be set up to review the rules of non-Olympic sports before the next Congress – now a biannual event – in China in 2020. The 2018 Congress concluded with presentations from the Sport Department of the International Olympic Committee and the Tokyo 2020 Olympic Games Organising Committee. 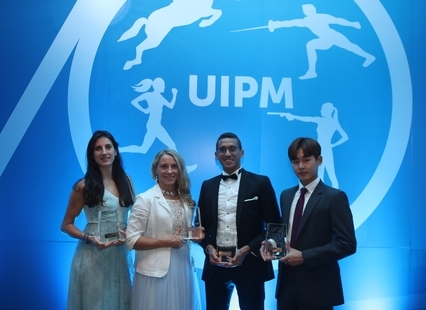 The Congress was also notable for marking the 70th anniversary of the Union Internationale de Pentathlon Moderne (UIPM), founded in 1948 during the Olympic Games in London. 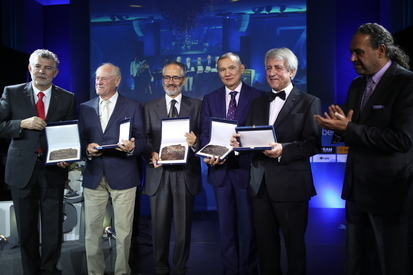 VIP guests including Sheikh Ahmad Al-Fahad Al-Sabah, President of the Association of National Olympic Committees (ANOC), attended a special gala dinner which incorporated the UIPM Annual Awards. President Dr Schormann said: “This Congress took place in a great atmosphere with deep discussions in a spirit of great harmony. The UIPM Congress is a platform for information, especially for our newest members, and we had 80 National Federations represented here in Limassol. “We were very pleased to have a detailed presentation from Bram Schellekens, Summer Olympics Manager of the IOC Sport Department, where he underlined the priorities and the vision of Olympic Agenda 2020 relating to our sporting movement, continuing the close cooperation between his department and our Union. 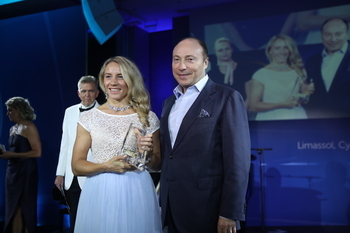 “This was followed by a presentation from Noriyuki Nakamura, Modern Pentathlon Competition Manager of the Tokyo 2020 Olympic Games Organising Committee, focusing on the 2019 UIPM Pentathlon World Cup Final which will double as the Olympic Games Test Event. 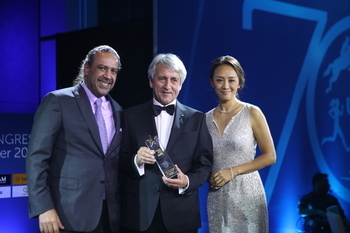 “We also enjoyed excellent presentations from the organising committee of the combined 2019 Pentathlon and Laser Run World Championships in Budapest (HUN) and Mrs Guirong Guo, Deputy Mayor of Xiamen City, which will host the 2020 Pentathlon World Championships. Motions were approved relating to the updating of UIPM’s election rules, code of ethics, statutes and rules on internal organisation, while a new set of betting and anti-corruption rules was approved. Based on the approval of the updated election rules, Congress appointed a new UIPM Electoral Committee and elected three individuals from different continents to form the committee. They are Dr Gyula Bretz (HUN), Angela Ives (CAN) and Richard Gomez (PHI). 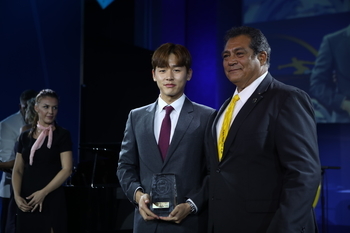 The UIPM Executive Board confirmed that the 2020 Pentathlon World Cup Final will take place in Seoul (KOR) in May 2020, completing a set of key events taking place in Asia that year, with the Olympic Games in Tokyo (JAP), UIPM Pentathlon World Championships in Xiamen (CHN) and UIPM Congress also going to China. Elsewhere in 2020, it was confirmed that the UIPM Biathle/Triathle World Championships will be held in Weiden (GER) in July, and the UIPM Masters World Championships will take place in Gyor (HUN) from September 23-27. The Executive Board also approved the final UIPM calendar for 2019, including Pentathlon World Cup Sofia (BUL) and the Junior World Championships in Drzonkow (POL). The full calendar will be released and published on the UIPM website in due course.